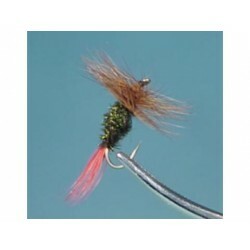 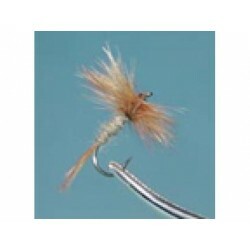 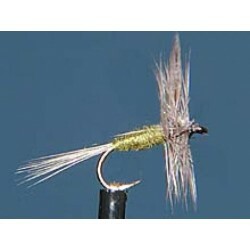 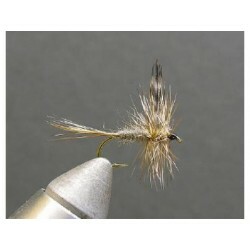 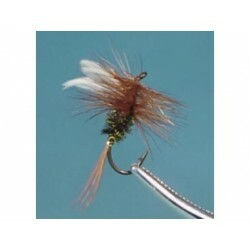 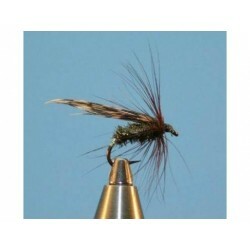 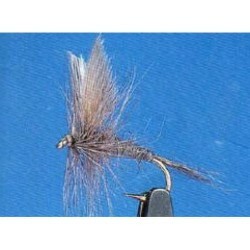 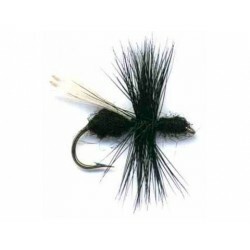 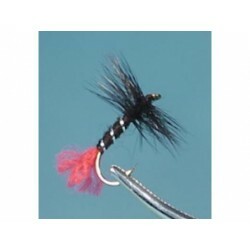 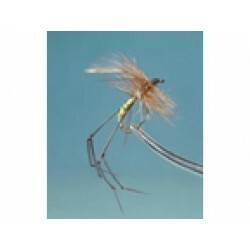 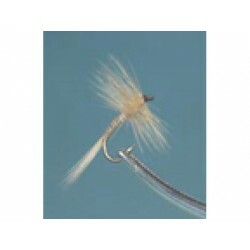 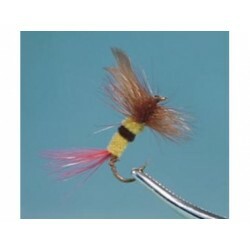 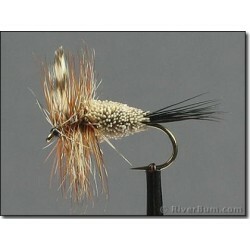 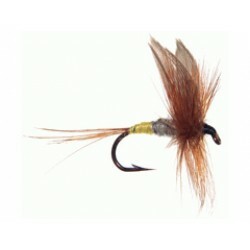 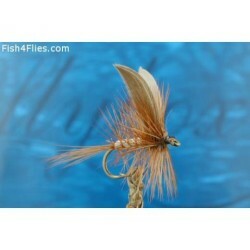 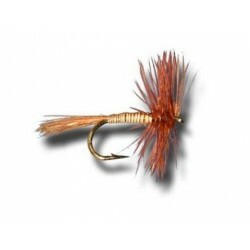 > Flies>MUSQUARO DANCING FLY STREAMER. 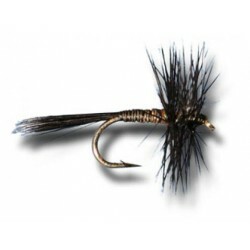 Hook : Sreamer 4XL size # 2. 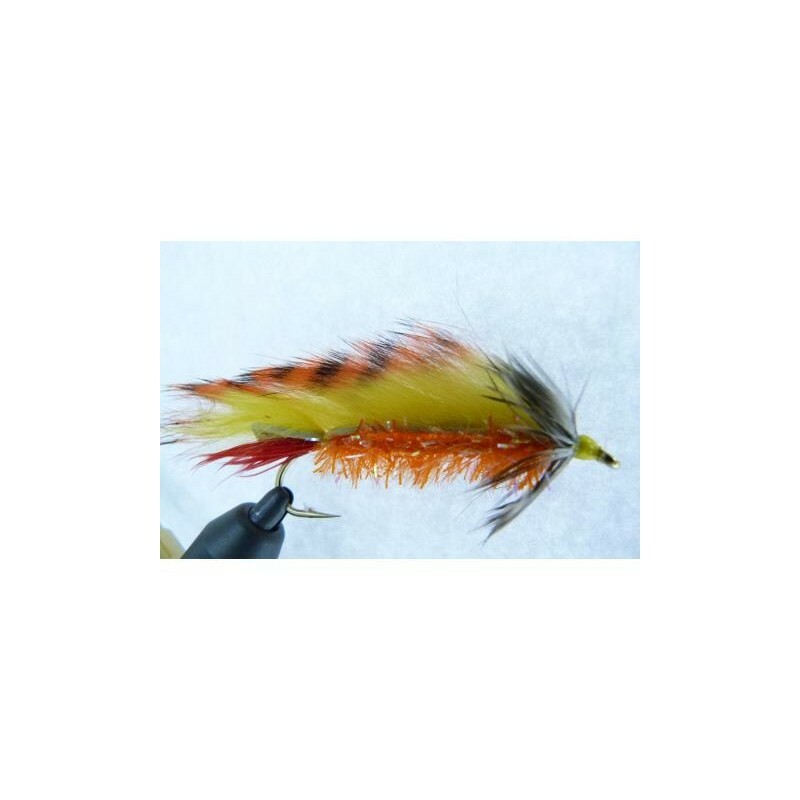 Body : Cactus chenille Orange. 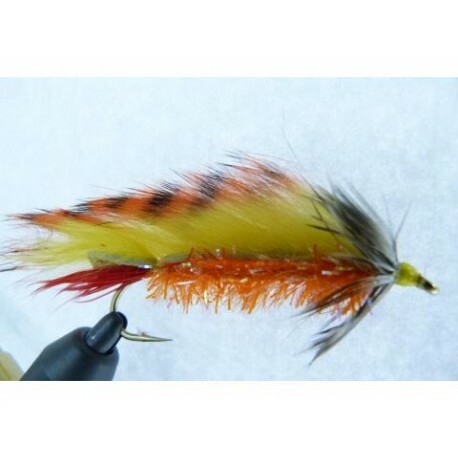 Wing : Zonker Rabbit Strip Tiger Barred Orange Black barred over Yellow. 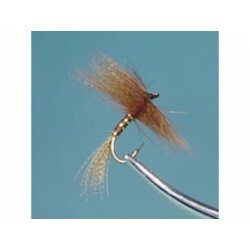 Collar : Hen saddle Grizzly.